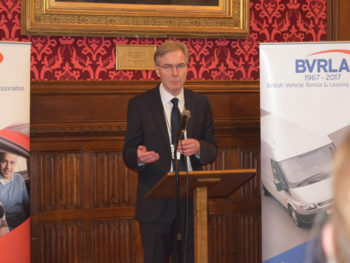 So says the BVRLA as it urges the Chancellor to use the Budget to energise the take up of plug-in electric vehicles and support the vital role played by the company car. The association pointed to the Prime Minister’s announcement at last month’s inaugural Zero Emission Vehicle Summit in Birmingham for the UK to become a global centre of excellence for electric vehicles. It follows ambitious aims set out in the ‘Road to Zero Strategy. However, the Government’s current approach to company car tax undermines this, according to the BVRLA. Current plans would see the company car tax Benefit-in-Kind (BIK) rate for electric company cars soar to 16% in April 2019 before dropping to 2% the year after, actively disincentivising the take-up of these cars. By bringing forward the 2% CCT rate for zero emission vehicles, the Government could provide a much-needed stimulus to the electric vehicle market, which is currently growing at less than 4% per year.